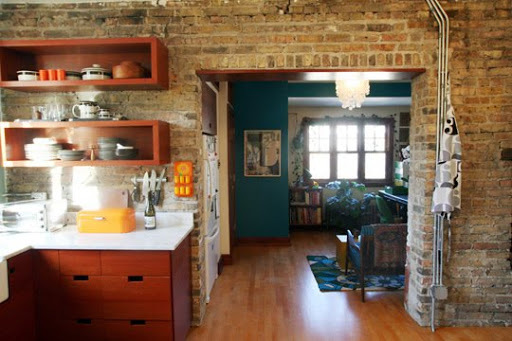 Just got a peek at this funky fresh home in Chicago via ApartmentTherapy. I really love the kitchen’s shelving units and the way the wood looks with the blue in the living room! 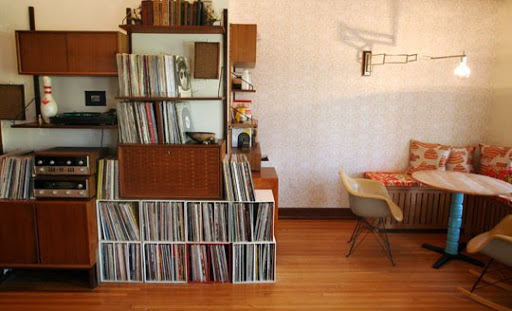 I also really love these shelves. They remind me a bit of some at my grandparent’s home here in Columbus, (my grandma was an interior designer years ago, and has excellent taste). PS. Sorry for my blogging absence lately, I’ve been working like crazy between the coffee shop and babysitting! Hopefully this weekend I will get a chance to snap some pictures of our Christmas tree and share them here. < Previous Poem and picture friday. Next > Just wanted to say hello.